Hello! 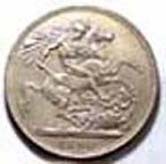 I am a retired New York State Administrative Law Judge; coin collecting since 1957; member of 1972 U.S. Assay Commission; and a dealer since 1978. I still collect general world coins, Chinese coins, and ancient coins. I am the author of several books including Confessions of a Numismatic Fanatic: How To Get the Most Out Of Coin Collecting. 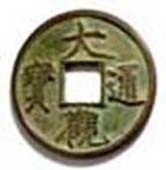 I sell world coins by fixed price lists, specializing in Chinese cash and other oriental coins; and ancient coins mainly by mail auction. My business philosophy is to gain loyal repeat customers by doing the utmost to ensure customer satisfaction -- providing NEAT COINS, at the BEST PRICES, with the BEST SERVICE. I also have a BLOG, on politics, life, and philosophy, "The Rational Optimist." Click here. I can notify you by e-mail as soon as a new list is posted. I also buy, and pay fair prices. 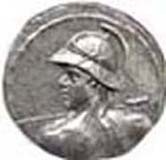 I sell ancient & early coins by mail-bid auctions, about 3 times a year. Each sale has over 600 lots, with no minimum bids, 98% unreserved, and bids are reduced as competition permits. Each sale covers a broad range of material with values from $2 to $5000, with plenty of lots for advanced and serious collectors as well as beginners and budget-minded collectors. These sales are truly wonderful buying opportunities! Prices will tend to be considerably lower than you would pay in "fancy" auctions, or retail. I try to be easy to deal with, and work very hard to satisfy my customers. There is also a section of fixed price specials on each list. Your return privilege is absolute and hassle-free. You can also request a hard copy of the sale catalog (text only). I also buy and pay fair prices. You may be interested in discussion board ("Forum," click HERE) and list-serve ("Ancient Coin Market", click HERE) where you will receive other dealers' notices about ancient coins for sale. Payment by check or money order is preferred. Paypal and Visa or Mastercard also accepted; please check with me for details. Thank you for visiting my "no frills" website.